Costas tells the New York Post he plans to leave NBC to pursue a journalism show that would feature interviews, commentaries and a critical look at the world of sports and perhaps other topics. 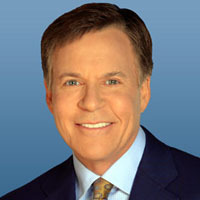 Costas has spent nearly four decades at NBC with a multi-million contract that is scheduled to expire in 2021, but The Post reports that Costas and NBC will begin discussions to allow him to exit his contract three years early. NBC rarely uses Costas on-air since he stepped away from his Olympics and Sunday Night Football roles, so he mostly does broadcast work these days on MLB Network. “Sometimes you get to a point where it is not a fit anymore,” Costas tells the Post. “It doesn’t mean that anyone is angry or upset.” NBC declined comment.